If only for the happy reason that he is still very much an active scholar, the celebration by this Conference of David Lockwood’s contribution to sociology is hardly the occasion on which to attempt to view his work as a whole. For this I am thankful because his writing has ranged widely over the discipline and to each of the subjects he has discussed he has contributed something both outstanding and of lasting value. Beyond his contribution as a scholar, he has played a vital role in the establishment of sociology both in the country as a whole and (perhaps more of a challenge) in the University of Cambridge. His curriculum vitae (with which he kindly supplied me as an aide to writing this note) is characteristically self-effacing, being only just over three pages in length, yet, for this very reason, it conveys something of those personal qualities by which he has provided exemplary inspiration to successive generations. In his writing there is a finely balanced tension of opposites: on the one hand a gentle scepticism about the achievements of sociology and on the other a quiet enthusiasm for its potentialities; a subtle appreciation and mastery of work that combines conceptual discrimination with a stringent regard for evidence; and an understanding that although sociology has a life of its own which it must cherish, it is also liable to academic anaemia if it is not continuously in contact with and refreshed by the practical concerns of the society that harbours it. David Lockwood, certainly, and many other readers will find these words strangely familiar (as well as more elegant than any I usually manage to produce). There is a good reason for this: with very minor amendments, they are David’s own words in appreciation of his teacher, T.H.Marshall (see Lockwood, 1974:363). However, they seem so appropriate to David himself that I cannot resist reproducing them here. They are also appropriate in another sense, for where Tom Marshall pioneered David Lockwood subsequently colonised and expanded, so that in paying tribute to David’s own career we can simultaneously remember the teacher who inspired him and whom he so admired. Of course, David will no doubt wish to demur from the view that his own generous words on Marshall could possibly apply to himself, still less that he can stand such a comparison with his teacher; but that would merely confirm for the rest of us his diffidence in the face of our regard for his devotion to the discipline and the achievements he has made within it. For the fact is, as all the reviews of Solidarity and Schism attest, David Lockwood is not merely outstanding among British sociologists, but is ranked among the world’s foremost sociologists. Without wishing to sound like Uriah Heep, I am acutely aware that the following short appreciation of Lockwood’s career to date is all too inadequate in both detail and quality. From the publication in 1956 of his seminal article on Parsons’ work, ‘Some Remarks on The Social System’, via The Blackcoated Worker, the essays on ‘The “New Working Class”‘, ‘Affluence and the British Class Structure’ (written with John Goldthorpe), ‘Sources of Variation in Working Class Images of Society’, and The Affluent Worker, through to more recent essays on Marx and Durkheim, class and gender, and civic stratification, to Solidarity and Schism, David Lockwood has maintained the highest levels of scholarship, thereby simultaneously influencing several generations of sociologists in the way that they think and write about macro-sociological theory in general and social stratification in particular. In this essay I attempt a few remarks on these works, placed in the context of Lockwood’s career at the London School of Economics, and the Universities of Cambridge and Essex. Born in Holmfirth, Yorkshire, in 1929, Lockwood was a scholarship boy at Honley Grammar School. When he left school, he worked for a time as a trainee in a textile mill, before doing his National Service in the Intelligence Corps, mainly based in Austria. After demobilisation, he entered the LSE in 1949, gaining First Class Honours in 1952 and being awarded the Hobhouse Memorial Prize. The sociologists at LSE of this period have been vividly described by Halsey (1985). Lockwood was one of a group of a dozen or so talented students who were to become so influential in the subsequent development of British sociology. Later they were to be famously accused by Raymond Aron of using their sociology in order to attempt to make intellectual sense of the political problems of the Labour Party, but, as Halsey also observes, this was perhaps understandable for people of their background and experience, concerned as they were with the issue of social inequality. Certainly this was a pertinent factor for Lockwood. For him, as for his LSE contemporaries, sociology was the place to look for a theoretical answer to their politics of progress, but equally their commitment to empirical research arose from the same source. Hence, throughout his career Lockwood has combined theory and empirical research in two ways. First, his empirical research has been informed by careful and original theorising; and, second, his theoretical work has been based on a thorough foundation of empirical sociological and historical research. Within a year of receiving his BSc (Econ) Lockwood was appointed to an Assistant Lectureship at the LSE. Simultaneously he was undertaking research for his PhD on clerical workers as a critical case for examining the Marxist problematic of class consciousness. Lockwood was also getting to grips with the work of another LSE alumnus, Talcott Parsons, who had recently produced his account of The Social System. Lockwood’s ‘Some Remarks on The Social System’ (1956) represents his first published intervention in the area which was to dominate his theoretical work for the next four decades. Along with his LSE contemporaries (and in typical Anglo-Saxon fashion), Lockwood rejected the grand theories not only of Parsons, but also of Marx. Neither Parsons’ consensus nor Marx’s contradictions had real appeal. Rather, in Halsey’s phrase, the tendency was to seek to combine the former’s abstractions of value with the latter’s abstractions of material circumstances. It was in this context that Lockwood’s essay on Parsons was so influential. In that paper he not only established both Marx and Parsons as theorists of social order in a line going back to Hobbes, but he refused to accept either formulation of the fundamental problems and definition of sociology, preferring to regard the two schemes as complementary. This insight (for such it was, as Halsey affirms) reaches its fullest form in Solidarity and Schism, to which I shall return. In 1958, shortly before Lockwood temporarily left the LSE to take up a Rockefeller Fellowship at Berkeley, his PhD thesis, The Blackcoated Worker, was published. Here was Lockwood assailing the Marxist redoubt by demonstrating why it might be that predictions of emerging proletarian consciousness among the clerical workforce exhibited (to use a felicitous phrase of John Goldthorpe’s) wishful rather than critical thinking. In arriving at this conclusion, Lockwood erected an impressively original conceptual and theoretical apparatus combining elements of Marxist and Weberian sociology with painstaking historical and statistical research, all now recognisable as among the hallmarks of the Lockwood approach. Of course, The Blackcoated Worker has had a lasting impact on British research into social stratification, so much so that, in the wake of the debates on proletarianisation in the seventies and eighties, Oxford University Press commissioned a second edition containing an important postscript. In particular, it is the analysis of class position and class consciousness in terms of work situation, market situation and status situation which is so original and fruitful and which, therefore, other sociologists found so useful in their own empirical and theoretical research (see, for example, the work of Howard Newby, Lockwood’s Essex colleague: Newby 1977, Newby et al, 1978; and consider the provenance of the original theoretical basis to John Goldthorpe’s class schema in Goldthorpe (with Llewellyn), 1980). Subsequent development of these ideas in essays such as ‘The “New Working Class”‘ (1960), ‘Affluence and the British Class Structure’ (1963) and ‘Sources of Variation in Working Class Images of Society’ (1966) were equally influential both in his own classic studies of The Affluent Worker (written with Goldthorpe, Bechhofer and Platt, and on which both Rosemary Crompton and Michael Rose worked as research assistants) and on the work of many others (see, for example, Bulmer, 1975). ‘Sources of Variation’ was perhaps especially important. Drawing on findings from British community studies and American, French and German research on the working class of the 1950s, and adding community situation to work situation as an important factor in the development of societal images, Lockwood identified three types of workers – the traditional proletarian, the traditional deferential and the privatised – each with a different image of society deriving from their different work and community experiences. All of this work on class following The Blackcoated Worker was undertaken at Cambridge where Lockwood was a University Lecturer in the Faculty of Economics and Politics and Fellow of St John’s College from 1960-68. This was at a time, of course, when sociology in Cambridge was taught as an optional part of the Economics Tripos. The struggle to have sociology formally recognised and accepted by the University as a proper academic subject with its own Faculty Board and Tripos was one in which Lockwood was actively involved, but which did not see even partial fruition until 1969 (when a Social and Political Sciences Committee – not Faculty Board – and a Part II Tripos – not full degree scheme – were inaugurated). By this time Lockwood had departed the scene for Essex, and the first University of Cambridge Chair in Sociology went to the eminent Cambridge-educated anthropologist, J.A.Barnes. Lockwood thus arrived at Essex in 1968, having spent 1966/67 as Visiting Professor in the Graduate Faculty of Columbia University, New York. 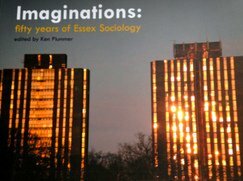 Apart from a little local Essex difficulty, the year of his appointment to the Essex Chair also marked the publication of the first two Affluent Worker volumes, one of the genuine classics of theoretically-informed British empirical sociology. The final, and most important of the Affluent Worker volumes was published in 1969. During the early years at Essex, and again more recently, Lockwood had administrative responsibilities inside and outside the University. He was Head of Department and Dean, and from 1972-75 he served as Chair of the Sociology and Social Policy Committee, and as a Council member, of the Social Science Research Council. In 1976 he was elected Fellow of the British Academy and in 1989 a Member of the Academia Europea. He has also been a Visiting Professor in Delhi (1974), Stockholm (1989) and Canberra (1993). Immediately before his retirement, he was Pro-Vice-Chancellor (Academic) for three years until 1992. Currently he is chairing the ESRC’s Review of OPCS Social Classifications. A consistent theme in Lockwood’s work while at Essex, and one deriving from his interpretation not only of sociology’s classic triumvirate but also of Parsons and of his own mentor, Tom Marshall, is the importance he attaches to the concepts of citizenship and status. Of course, this line is evident in previous work, too, but from the mid-seventies it appears to assume a greater prominence. Appropriately it begins with his short paper ‘For T.H.Marshall’ (1974) which marked the latter’s eightieth birthday and in which Lockwood acknowledges the importance of Marshall’s Citizenship and Social Class (1950), a work which he placed ‘in a direct line of succession to those classic texts which mark the origins of modern sociology’ (Lockwood, 1974:p.363). For Lockwood, Marshall’s work brought the legal character of status group stratification back to prominence and rescued the concept of status from its trivialisation at the hands of American writers on prestige. This latter group had taken note of only the conventional aspects of status, the status superstructure, but had ignored its legal basis in modern societies in the institutions of citizenship. Citizenship emphasised equality of condition and thus stood in direct opposition to class and market forces. In typical fashion this short essay, in praising Marshall’s work, seeks to hide Lockwood’s own subtle development of these ideas in linking them to Durkheim’s work on organic solidarity and Weber’s on status. It thereby reveals another distinctive feature of Lockwood’s sociology. Not content with understanding and using what the classical sociologists said, Lockwood seeks to tease out what they left unsaid, to make explicit what their writings leave either implicit or vague. One almost suspects that this is where Lockwood finds his own ‘quiet enthusiasm’ in the potentialities of sociology. Suffice to say that, with Marshall, Lockwood finds the structure and ideology of citizenship to be the principal source of solidarity in modern societies, an amelioration of Durkheim’s forced division of labour and a means by which class conflict is institutionalised, but never entirely tamed. These ideas suffuse a number of Lockwood’s essays in the last fifteen years – ‘The Weakest Link in the Chain?’ (1981), ‘Class, Status and Gender’ (1986), ‘On the Incongruity of Power and Status’ (1986), ‘Schichtung in der Staatsbuergesellschaft’ (1987) and now in the essay on civic stratification for this Conference. Above all, it is a major theme in Solidarity and Schism (1992). One might suggest that it is no accident that the first of these ‘status essays’ carries the title ‘For T.H.Marshall’, echoing that of Louis Althusser’s For Marx (1968). The fact is that it was partly through his development of Marshall’s insights on the relationship between citizenship and social class that Lockwood was to produce his penetrating critiques of the structural Marxism which Althusser (and Poulantzas) pioneered. In so doing he continued the work he had initiated in The Blackcoated Worker and which had begun to undermine Marxist theories of the base/superstructure relationship, the relation between class structure and class consciousness, and the class-in-itself/class-for-itself (an sich, fur sich) incantation. By establishing the importance to working class movements of the struggle for citizenship and the effects this had on working class politics, and by recognising the importance of what Parsons termed ‘ultimate values’, Lockwood demonstrated that interweaving of historically-informed, empirically-based macro-sociological scholarship for which he is renowned. And, in opposing certain Marxist theorists, Lockwood was operating from a position which combined a variety of intellectual influences: his own brand of ethical socialism; a philosophical approach influenced by Popper and by Weber’s essays on science and politics as vocations, but above all by his unique synthesis and expansion of the work of Durkheim, Weber, T.H.Marshall, Parsons and Marx. Thus, to suggest without qualification that Lockwood is ‘neo-Weberian’ is to miss many of the important influences upon him, not least those of Marx, Durkheim and Parsons. Solidarity and Schism can be seen as the ultimate expression of these influences and leads naturally to a comment on what has so far been an egregious absence in this paper’s detailed references to Lockwood’s work, his 1964 essay ‘Social Integration and System Integration’. Here, as in his first major essay on Parsons, we see Lockwood reflecting on the key issue of macrosociology and all its philosophical and theological precursors, the problem of order. What makes the work of Parsons, Durkheim and Marx so crucial for Lockwood is that they all recognised that sociology is ultimately about the problem of order. ‘Social Integration and System Integration’ tackles this central issue in particularly important ways and thereby shows that a synthesis of both forms of integration is fundamental to an adequate theory of social change. The terms social integration and system integration were employed in order to indicate some fundamental problems in both the normative functionalist theory of Parsons and what Lockwood labelled as the ‘conflict theories’ of writers such as Dahrendorf (1959) and Rex (1964), each of whom set out to criticise Parsons’ approach for failing to explore the interplay between norms and power. Social integration refers to the principles by which individuals or actors are related to one another in a society. System integration refers to the relationships between parts of a society or social system. Despite the use of the term ‘integration’, there is no assumption that the relationships described are harmonious. Social integration and system integration can embrace both order and conflict. The major source of social integration which sociologists have identified in advanced capitalist societies is the class system: class is the principal means of social integration. However, in feudal societies the status system of estates played an equivalent role. In general (and following Weber’s precepts about social stratification) status-based societies are likely to lead to harmonious forms of social integration and class societies to conflictful forms of social integration. System integration, on the other hand, is a reference to the way in which different parts of a social system (their institutions) inter-relate. Any adequate macro-sociological theory of change must attempt to link social integration with system integration. However, in ‘Social Integration and System Integration’ Lockwood notes how Dahrendorf and Rex emphasise the conflict between groups of actors (social integration) as the basic motor of social change, while Parsons downplays the role of actors and seeks to emphasise the (functional or dysfunctional) relationships between the institutions of society (system integration). For Lockwood neither approach is adequate precisely because each deals with only one side of the agency/structure problem. The task of sociological theory is to overcome this dualism. Beyond this, Lockwood’s distinction points to those crucial features which need to be examined in any theory of social change. As an illustration, he notes how Marx’s theory of capitalist society refers to growing class antagonisms (social integration) which are related to the contradictions between the forces of production and the relations of production (system integration). That is, for Marx, system contradictions are linked to the actions of groups who respond to the contradictions by seeking to change or preserve the existing society. It is contradictions at the system level which lead to social (class) conflict – system integration is related to social integration. Lockwood’s critiques of both consensus and conflict theories of social order, and of the Marxist alternative, form the basis of all his subsequent theoretical work, culminating in Solidarity and Schism. Despite the attempt to link system contradictions and social contradictions, Marx’s theory is shown to be saddled with an essentially utilitarian theory of action, and one therefore lacking an explanation of the source of rationality because it has no conception of values. Marx fails, therefore, to take account of non-rational action, or more precisely the extent to which actors behave in ways which relate to ultimate values. By failing to make any distinction between irrational action (arising from ignorance or error) and non-rational action (arising from value commitments) Marxism effectively ignores the institutionalisation of values, with serious consequences for the theory as a whole. Hence, for example, Lockwood demonstrates how trade-union consciousness is not irrational but rather an example of how the legal order of citizenship inhibited class action. Workers had to struggle to obtain trades union rights, i.e. to obtain a legal status; but once they gained a status within the legal order they were less likely to challenge it. Trades unions became committed to the moral order intrinsically as well as instrumentally. Thus, from his earliest work such as The Blackcoated Worker, through to Solidarity and Schism, and in the essay in this volume, Lockwood has consistently argued for the crucial role of the status order within any theory of social integration. Action is not only a matter of objective situation; it also has normative determinants. Sociological theory must address both material circumstances and values. Conflict theory is thus seen by Lockwood as an over-reaction to the problems of normative functionalism, while attempts to synthesise the two theories are shown to be unconvincing. However, what these attempts at synthesis do reveal is the idea of the incongruity between power and status, between the material and the moral and between the ‘two sociologies’ of action and structure. These are the problems which grand theory has failed to resolve, but for good and respectable reasons: partly because the theories are inseparable from their proponents’ philosophical, moral and political beliefs, but also because they are empirically difficult to adjudicate. It is not even, Lockwood argues, a question of the lack of evidence, since grand theories are insufficiently defined to be falsified. ‘an excellent example of what sociological theory is or should be about: not an amateur excursus into ontological or epistemological issues, not an uncritical adoption of whatever happens to be fashionable in linguistics, literary criticism or psychoanalysis – but the construction of interrelated conceptual tools that can prepare the ground for empirical sociological work by dispelling misconceptions, overcoming theoretical dilemmas and raising interesting questions about the constitution, reproduction and transformation of social arrangements’(1993:582). I therefore end as I began, by paraphrasing Lockwood’s own words for T.H.Marshall: it is with deep respect and affection that we celebrate our colleague and friend on the occasion of this Conference. Althusser, L. (1968) For Marx. Harmondsworth:Penguin. Barnes, J.A. (1970) Sociology in Cambridge. Cambridge:CUP. Bulmer, M. (ed) (1975) Working Class Images of Society. London:Routledge. Cole, G.D.H. (1959) Review of The Blackcoated Worker in the British Journal of Sociology, 10:1:71-73. Dahrendorf, R. (1959) Class and Class Conflict in an Industrial Society. London:RKP. Giddens, A. and Mackenzie, G. (eds) (1982) Class and the Division of Labour, Cambridge:CUP. Goldthorpe, J.H. (with C. Llewellyn) (1980) Social Mobility and Class Structure in Modern Britain. Oxford:Clarendon Press. Halsey, A.H. (1985) ‘Provincials and professionals:the British post-war sociologists’ in Bulmer, M. (ed) Essays on the History of British Sociological Research. Cambridge:CUP. Hollingshead, A. (1959) Review of The Blackcoated Worker in the American Journal of Sociology, 65:1:115. Mann, M. (1993) Review of Solidarity and Schism in the British Journal of Sociology, 44:1:169-171. Marshall, T.H. (1950) Citizenship and Social Class. Cambridge:CUP. Miller, D. (1959) Review of The Blackcoated Worker in the American Sociological Review, 24:5:744-745. Mouzelis, N. (1993) Review of Solidarity and Schism in The Sociological Review, 573-582. Newby, H. (1977) The Deferential Worker. Harmondsworth:Penguin. Newby, H., Bell, C., Rose, D. and Saunders, P. (1978) Property, Paternalism and Power. London:Hutchinson. Parsons, T. (1951) The Social System. London:RKP. Rex, J. (1964) Key Problems in Sociological Theory. London:RKP. Parsons was an occasional visitor to the LSE during the period that the group discussed by Halsey was present. Joe Banks tells the story of the first time the group was confronted by Parsons in the flesh. They listened to him give a paper on the social system. It was full of Parsonsian polysyallables and manifested all the other aspects of Parsons’ tortured syntax. Banks confessed to his supervisor his own complete mystification in the face of this linguistic style and enquired whether Parsons was equally impenetrable in the conversation over the post-seminar dinner. “Oh! yes”, said the supervisor, “When he wanted me to pass him the salt what he actually said was ‘Would you please orient the sodium chloride in my direction?’.” Of course, David Lockwood was among the first to penetrate the Parsons style and so reveal what was of interest and value in the substance. The importance of The Blackcoated Worker was immediately obvious from reviews, although reviewers did not always tend to see the strengths in the work which we recognise today. For example, G.D.H.Cole (1959), in the British Journal of Sociology, commended the book as less to be regarded ‘because of any particular thesis it sets out to advance than as a most useful and objective gathering together of much scattered material on a subject that has not been at all widely studied’. Both Cole and the anonymous reviewer in the Times Literary Supplement wrote approvingly of Lockwood’s debunking of the alleged snobbishness of clerks, thereby revealing a very English concern. Meanwhile American reviewers could no more rid themselves of their own 1950s fixations. Writing in the American Journal of Sociology, August B.Hollingshead (1959) was alarmed by Lockwood’s over-familiarity with the work of Marx, noting that ‘the central chapters of the book explore (its) theme in Marxian terms… However, a chapter on the “Status Situation” reflects familiarity with Max Weber’s thinking. In spite of this deviation, the book is an attempt to apply Marxian concepts… Lockwood in his conclusion points out that the sociologist cannot ignore empirical facts that run counter to theory. He does not take the necessary next step that appears warranted by the data, namely, to reject the Marxian framework as inadequate to explain it’. However, even if it was a close shave, all was not lost, as Hollingshead conceded: ‘Lockwood should be a successful diplomat: he satisfied his committee; he received his doctorate; and he convinced me that he is a sociologist even though he worked in the shadow of Marx’s doctrinaire position’ (115:emphasis added). We might add that, despite his familiarity with Marx’s writings, Lockwood still managed to obtain a visa for his sojourn in Berkeley. Delbert Miller, in the American Sociological Review, showed a different American sociological trait of the 1950s: the inability to recognise the difference between theory and description to the extent that the definitions of each became reversed. Less concerned that Lockwood might be a fellow traveller, Miller stated that ‘this research is entirely descriptive. It explores not the occupational life of the clerk but his class position and class consciousness’. And in a further comment on the lack of a reference by Lockwood to C. Wright Mills’ White Collar, Miller made the pained observation that ‘it seems incredible that the Atlantic Ocean can still isolate our British colleagues from our writings in the United States. Of course, this is not completely fair because Dr Lockwood cites such Americans as Centers, Bendix, Lipset and Veblen’ (1959:744). In overlooking the fact that at least two of these four were not American by birth, we can nevertheless note that Miller had obviously remained isolated from Lockwood’s work on Parsons. I am grateful to Terry Tostevin for tracing these reviews and for other assistance he has rendered in the production of this paper. For an interesting and informative account of the history of sociology at Cambridge, from the time of Sidgwick and Alfred Marshall see J.A.Barnes (1970) Sociology in Cambridge: An Inaugural Lecture. Cambridge:CUP. Interestingly from the viewpoint of Barnes’ antecedents and Lockwood’s intellectual concerns, the former makes no mention of the influence on the development of sociology in Cambridge of either T.H.Marshall or Talcott Parsons, both of whom gave Alfred Marshall lectures in Cambridge in the hope of stimulating acceptance of the discipline. It is related (and it may have been David Lockwood who told me this) that Parsons put back progress towards sociology’s recognition at Cambridge for well over a decade when he told the economists that they were dealing with a mere sub-system of society, thereby leaving them with the impression that sociology still sought to be the queen of the social sciences. According to Barnes, Alfred Marshall’s own inaugural lecture did admit the possibility of economics finding shelter under the wing of a unified social science, if not sociology. These days are long gone, even to the extent that the Social Science Research Council had to lose all reference to science while being forced to redescribe itself as being Economic as well as Social, thereby revealing (at best) the continued inability of British economists to distinguish between the adjectives ‘social’ and ‘sociological’. An even better example of this trait in Lockwood’s work (also noted by Mann, 1993:170) is his treatment of Durkheim’s little-known fourth type of suicide, fatalistic suicide. From this apparently unpromising beginning, Durkheim’s sketchy comments on fatalism are raised to a prominent role in the explanation of social order. See ‘The Ethics of Fatalism: Durkheim’s Hidden Theory of Order’ in Giddens and Mackenzie (1982); and cf. Solidarity and Schism, Chapter 3.